As I have mentioned many times, I am a single mother and grad student. That means I am on a pretty strict budget. I have been incredibly fortunate to have so many tot school toys and tools for Xander and thought I would share some of my tips for accumulating them cheaply. 1. Buy Second Hand - The biggest money saver for us has been buying second hand. He have had EXCELLENT luck at garage sales, on craigslist, and at consignment shops. There are many of our tools, toys, puzzles, and games I never would have bought new, but found for almost nothing at garage sales. Books are also SO much cheaper used. I love when you can find them for a quarter or dime each. 2. Craft Stores - Michael's almost always has a 40% off one item coupon on their webpage and frequently offers a 50% off coupon for holidays. They have an excellent selection of Melissa and Doug toys and puzzles, as well as a wide variety of Toobs. I usually try to buy something every time they offer a 50% coupon, and then keep it in my stock pile of toys/puzzles for presents (not just for Xander, I use my stockpile for birthdays, Christmas and other occasions when I need to give gifts). I got our wooden blocks, Dress-Up Joey, Traffic Sign Set, and Farm Blocks this way. Hobby Lobby is another place to look for Toobs and learning games. They also frequently has 40% coupons. 3. Share Things - While I don't know many moms in "real life" that do tot school, I do know some. Certain tot school tools are intended for classrooms, so can easily be split between a few families, drastically reducing the cost. Some examples include number tiles, alphabet tiles, and learning links. I have also split a few stamper sets from Oriental Trading since they have four of each stamp, making them pretty inexpensive. 4. Ink - Ink is a huge one for tot school! I have a TON of printables for Xander. I love that they are easily accessible and can be customized for him. I was spending way too much money on ink, partially because all my color inks were in one cartridge. I found a printer with separate color cartridges ($5 at a garage sale) and I purchased some refillable ink cartridges (you need the ones that fit your printer). I was able to buy bottles of ink for less than what one cartridge change was costing me. I will warn you, it is a little bit more of a hassle than official ink because I have to clean my print heads regularly (takes about 30 seconds per cleaning). Totally worth it for the money I am saving! 6. 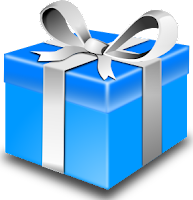 Use Gift Giving Times - Another thing that has really let me accumulate a good supply of educational tools and toys is using the normal gift giving times to buy them (Christmas, Birthdays, etc). Personally, I don't like the "fluff" toys that are played with once or twice. I like the interactive things like constructive toys, pretend play, active toys, art supplies, and puzzles. Xander is still young enough that I can get him whatever I want for gifts, so I select things thoughtfully. For example, for Easter he got a puzzle instead of a basket full of candy and sweets and junky toys that would be broken within days. I also have some great family that get him educational toys and movies for holidays. I would love to add to this list! How do you save money on Tot School toys and tools? I try to get things at the dollar store that he can use for tot trays or craft projects. They normally have good stuff. I love the idea of swapping supplies! I need to find a local friend. My favorite place is Target's dollar spot. They have a surprising number of good stuff. Also, I just found out that my local school district has a toy library for children birth-age 5 through their ECFE program. Its $15 a year to join, but it has amazing educational toys. So, I'm going to be using that a bunch to supplement our tot school stuff. A toy library would be wonderful! Totally worth $15 a year. I would love for ours to do that! Are you still having good luck with that ink? I actually have an Epson printer that would use the same ink. Some of the reviews are worrisome but I'm at the point where I'll probably give the printer away anyway if I can't get reasonably priced ink. We went to a laser printer for black only but I've been having my MIL print our color pages. It's not the most convenient! Actually the feed system on that printer broke and I ended up with an HP (handles card stock better.) You'd be welcome to have all my Epson ink and cartridges! Just send me a private email if you're interested.